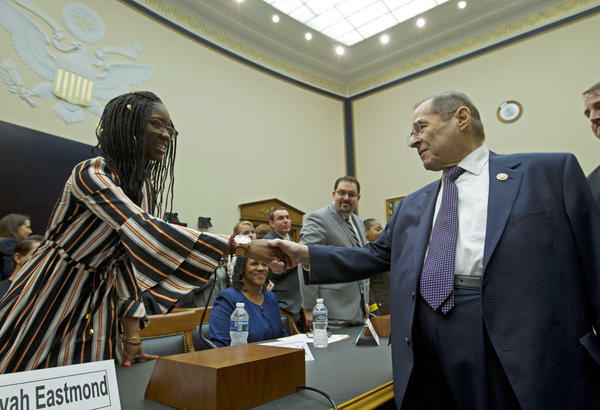 House Judiciary Committee Chairman Jerrold Nadler D-NY shakes hands with Aalayah Eastmond, a senior at Marjory Stoneman Douglas High School, during a House Judiciary Committee hearing on guns violence, at Capitol Hill in Washington on Feb. 6, 2019. 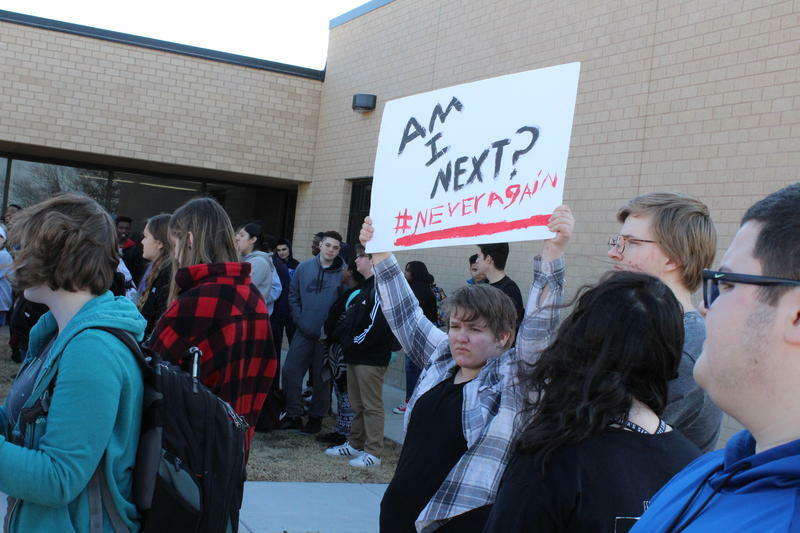 The gallery was filled to capacity with enthusiastic young people wearing "March For Our Lives" T-shirts, as well as survivors and relatives of victims from Marjory Stoneman Douglas, the 1999 Columbine High School shooting and the shooting at The Capital Gazette, in Annapolis, Maryland, last year. Democrats on the committee stressed the need to address what they called "loopholes" in federal law that allow persons who shouldn't own guns to purchase them without a background check. Louisiana Rep. Cedric Richmond raised the example of the Charleston church shooter, whose background check was delayed for several days but whose gun purchase was allowed to "default proceed" because the National Instant Criminal Background Check System couldn't determine fast enough whether he had been charged with a felony for drug possession, though he had been. Republican lawmakers raised concerns again and again over the impact of HR8 on gun owners and their Second Amendment rights. Some argued the law would make it too expensive and too onerous to buy guns and warned it would "criminalize" the right of gun buyers to give guns to family members and friends. 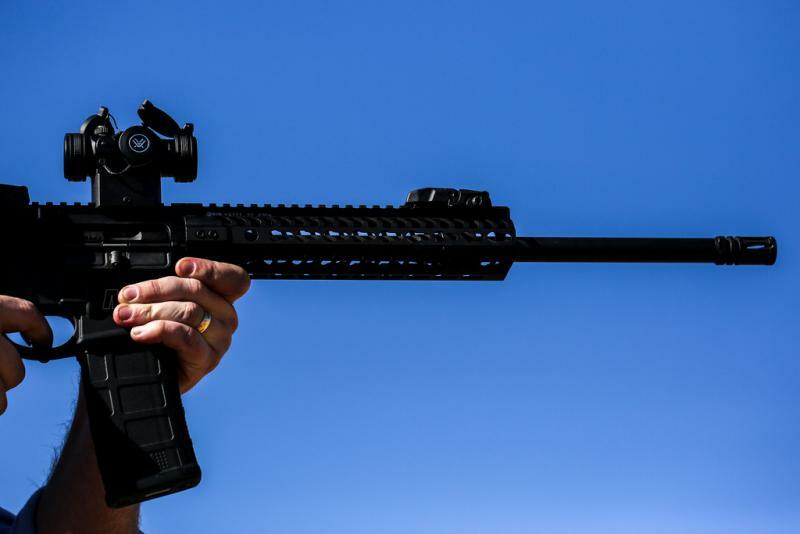 They also expressed fears that the law would create a "national registry" of gun owners, even though one panelist pointed out this is expressly prohibited in Section 5 of the text of the bill. And Rep. Kelly Armstrong, a Republican representative from North Dakota worried about the impact on rural gun owners: "We are creating felons out of every ranch and farm kid out in North Dakota and the entire Midwest population," Armstrong said, implying that the common practice of loaning or gifting guns would be made illegal. As written, HR8 includes an exception for gifting or loaning guns to family. Rep. Mike Thompson (D-Calif.), who introduced HR8, told young people gathered in the gallery he hoped the hearing could "bring some intelligence" to the issue. She pleaded with the committee to pass HR8, saying it "makes absolutely no sense" that someone can go online or to a gun show and purchase a gun without a background check. Read Eastmond's full testimony here. "Because of so-called common-sense gun laws [that barred Lindquist from carrying a gun on campus], I was left defenseless that night," Lindquist told the committee. Watch Lindquist's full testimony here on C-SPAN. For example, a 2017 RAND Corporation concluded that background checks have "moderate" effects on reducing suicide and gun crime. 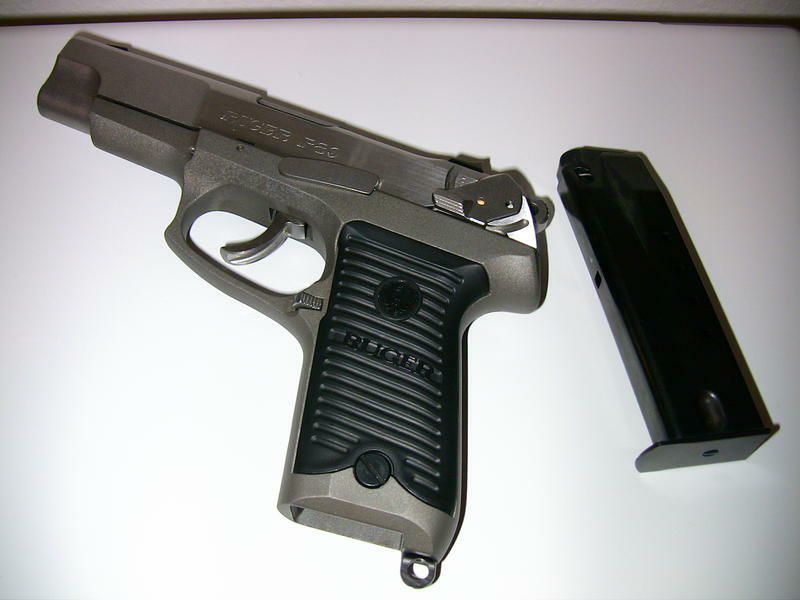 And a recent joint study from the UC Davis Violence Prevention Research Program and Johns Hopkins University found that California's universal background check had no effect on the number of gun homicides or suicides in that state. Dr. Joseph Sakran, a trauma surgeon at Johns Hopkins Medicine who is also a gunshot survivor and launched @ThisIsOurLane, testified that gun violence in America is a "multi-faceted health problem" and warned that if nothing is done about it, "1 million Americans will be shot in the next decade." Dr. Sakran also noted that the majority of gun deaths in the U.S. are suicides. Marjory Stoneman Douglas senior Aalayah Eastmond's words could be prophetic: "We ​are​ the generation that will end gun violence." 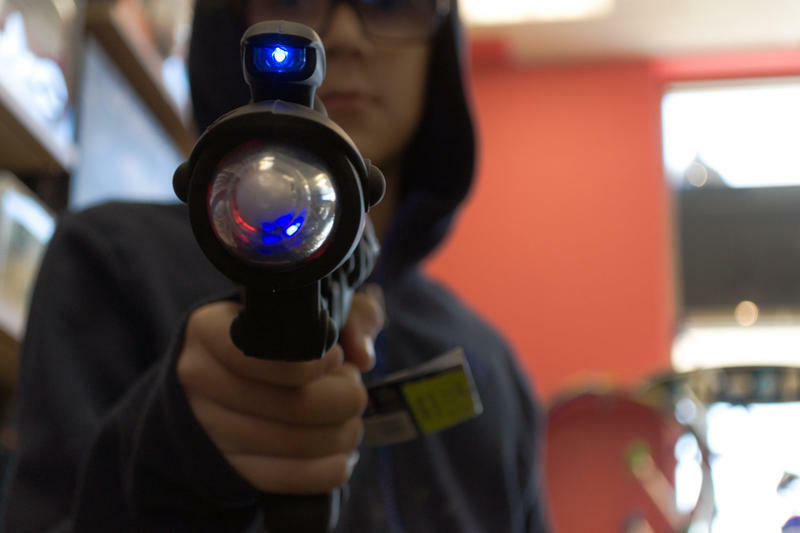 KERA is part of Guns & America, a new national reporting collaborative of 10 public media newsrooms focusing attention on the role of guns in American life. 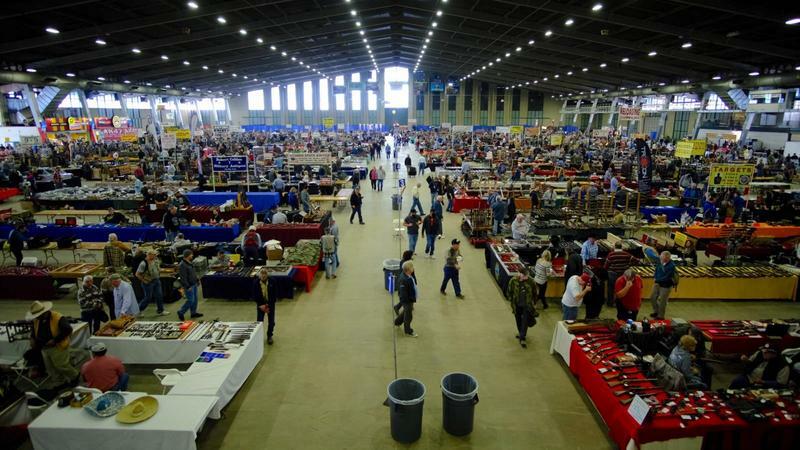 You can find more Guns & America coverage here, and learn more about the collaboration here. The man knew Nelson was selling thanks to the handwritten menu taped on Nelson's backpack advertising more than a dozen handguns, rifles and shotguns. "Meet me in the middle at $325," Nelson responded. "It's never been fired. You can look down the barrel." 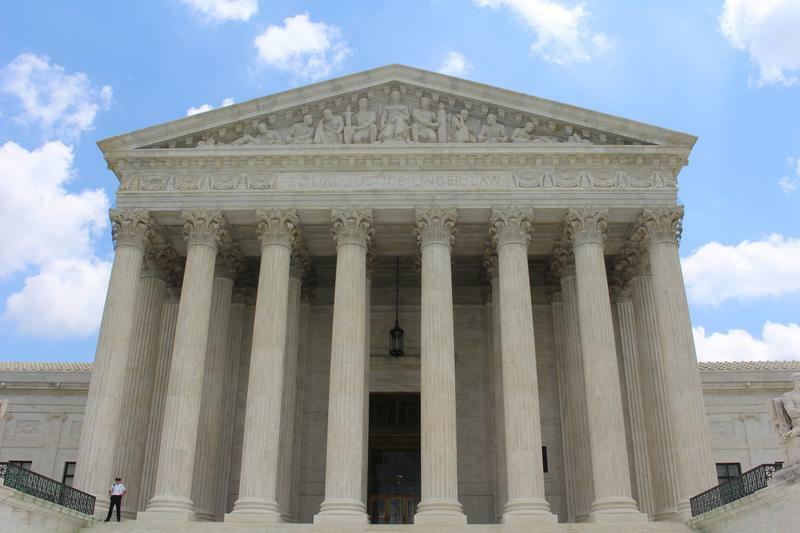 An appeal filed by a Kansas man on death row has caught the attention of the U.S. Supreme Court and could change how Kansas and other states prosecute people who commit crimes while mentally ill.
Nobody disputes that James Kahler murdered four family members in 2009. 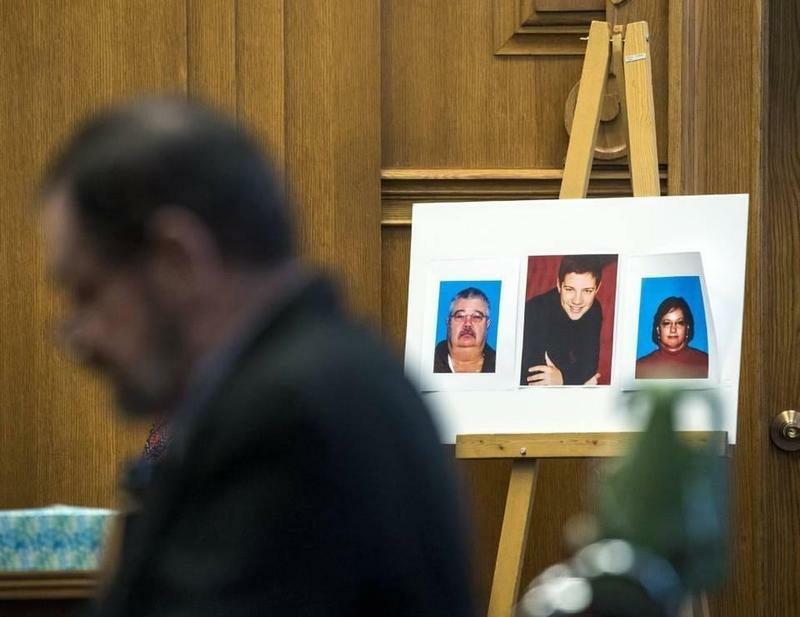 But Kahler’s attorneys argued at trial and in subsequent appeals that he had spiraled into a mental health crisis in the months preceding the murders and was psychotic during the attack. The murders took place in Burlingame, about 30 miles south of Topeka. Our partners at Guns & America wanted to better understand crimes involving guns in Colorado, so they analyzed 15 years worth of crime data , sent into the state by dozens of law enforcement agencies. Within that dataset, assaults and robberies are the offenses that included "firearm"' as a subcategory.